Unlimited Access offers a wide range of construction, maintenance, inspection and testing services in difficult-to-access locations using rope access and confined space entry techniques. Every project is delivered by our experienced project managers and professionally-qualified technicians. Based in Cardiff, South Wales we operate nationwide. Unlimited Access aim to be a one-stop complete service provider for all your access needs. Specialising in Rope Access, Confined Space Entry & Rescue provision with over 35 years combined experience between the directors, we believe we offer a service second to none. Partly due to our experience in the volunteer emergency services we are genuinely dedicated to maintaining a safe work place and our workforce maintain a positive safety culture. We are continually aiming to reduce our impact on the environment and to provide quality of service at all times. ​Based in Cardiff, South Wales, we work all over the UK & worldwide (onshore & offshore) & are able to take on any contract large or small. 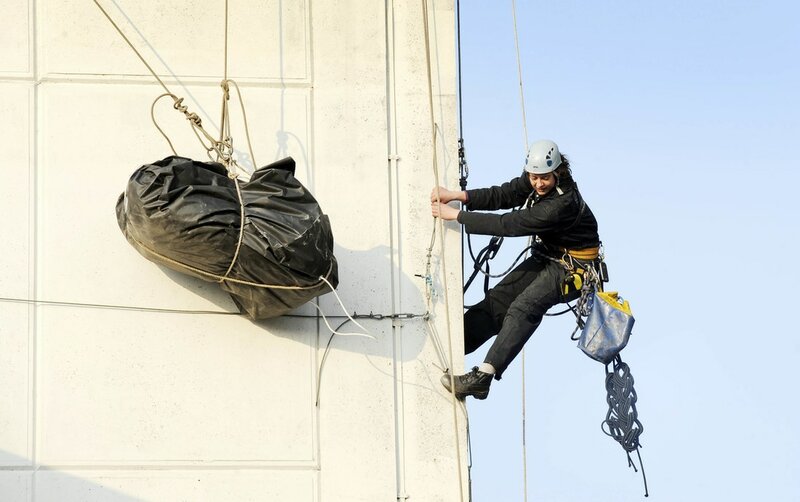 Based in Cardiff, South Wales, Unlimited Access provide a wide range of rope access services nationwide. All our technicians hold IRATA qualifications. Our Confined Space Entry teams can carry out a wide range of tasks. As well as entry our rescue teams can be there incase you need them. Find out more about the training courses we offer. From first aid to harness training. At Unlimited Access we specialise in all areas of difficult access. Because of the risks involved in the nature of our work we put safety as our number 1 priority. Be individually risk assessed and risk assessment provided.